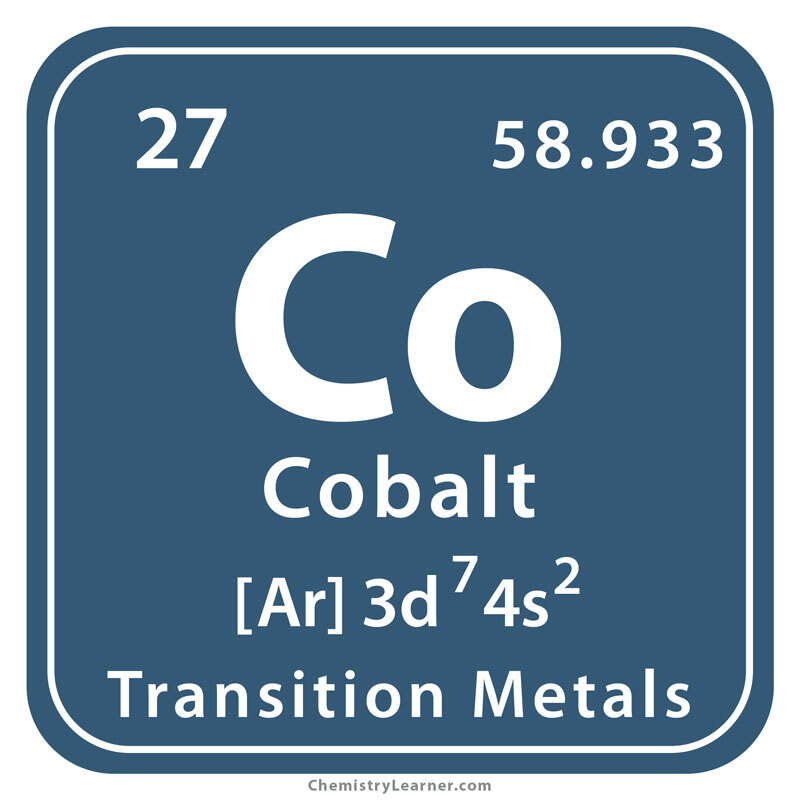 Cobalt (pronunciation: KO-bolt) is a hard, lustrous silvery-blue element belonging to the group of transition metals, and it is represented by the chemical symbol Co [1, 2, 3]. It is chemically active and can form many compounds . It is a ferromagnetic metal that can be magnetized and is alloyed with nickel and aluminum to produce powerful magnets [1, 4]. 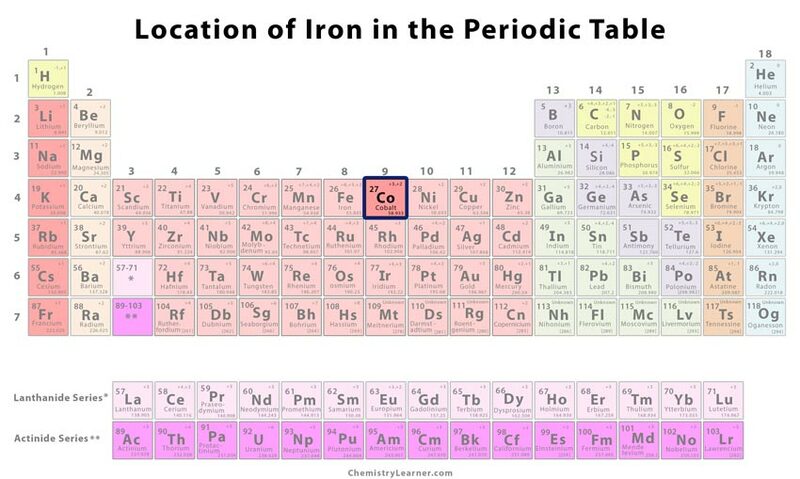 It has one stable, naturally occurring isotope, 59Co and 28 radioisotopes out of which the most stable are 60Co, 57Co, 56Co, and 58Co with half-lives of 5.2714 years, 271.8 days, 77.27 days, and 70.86 days respectively . The half-life periods of its other radioisotopes are less than 18 hours . Cobalt naturally occurs in combination with other elements in the mineral ores like cobaltite (a sulfide containing cobalt, arsenic, iron, and nickel), erythrite (hydrated cobalt arsenate), and skutterudite (cobalt arsenate) . It is generally obtained as a byproduct of copper and nickel mining [1, 4]. The manganese nodules found on the ocean floors are huge reserves of transition metals, containing tons of cobalt . The top 3 cobalt reserve holding countries are the Democratic Republic of Congo (DRC), Australia, and Cuba while the top 3 producers include DRC, China, and Zambia . Origin of its Name: The name is derived from ‘kobald’, German for “goblin” and from ‘cobalos’, a Greek word meaning “mine” [1, 2]. 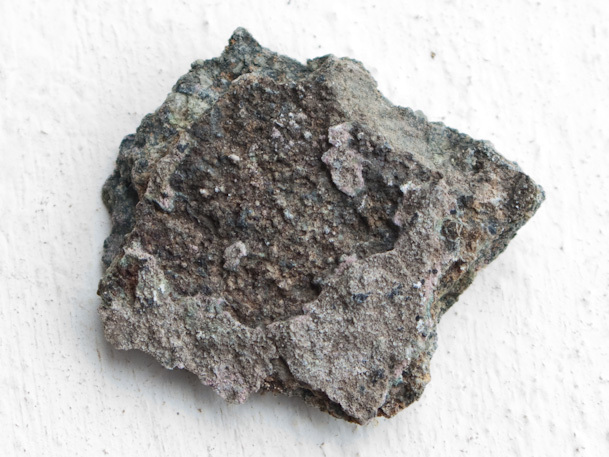 Who discovered it: The element was found by the Swedish chemist and mineralogist Georg Brandt . The tomb of Tutankhamen, the ancient Egyptian Pharaoh who ruled during 1361-1352 BC, had a deep blue glass object that was made of cobalt . In China, cobalt blue was used for making pottery glazes . Aside from its ancient origins, its discovery in the recent times dates back to the 1730s when Georg Brandt was interested in a blue ore from some of the local mines . Finally, he succeeded in proving that the blue ore contained a new metal . He described its properties and published the results in 1739 [1, 3]. His discovery was controversial, as other chemists disputed his findings for many years . However, his fellow Swedish chemist Torbern Bergman conducted further studies and confirmed Georg Brandt’s discovery in 1780 [1, 3]. 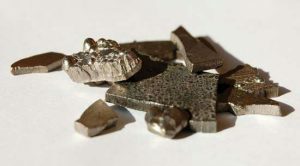 Cobalt is alloyed for use in gas turbine generators and jet turbines because of its high-temperature strength and resistance to corrosion [1, 4]. Cobalt is occasionally used in electroplating owing to its hardness and attractive appearance . It is commonly used as a cathode material in lithium ion batteries . Cobalt salts are used to impart intense blue colors in glass, porcelain, pottery, enamels, and paint . Radioactive 60Co is used for treating cancer, and in food irradiation for controlling pathogens and extending shelf life . Stellite super-alloys, composed of chromium, cobalt, and tungsten, are used for making high temperature and high wear resistant cutting tools . Cobalt poisoning can take place when you accidentally ingest, breathe, or have it in contact with the skin in large amounts . In large quantities, cobalt can be carcinogenic in humans and some animals . It is found in trace amounts in humans and is an essential component of vitamin B12 . Small doses of cobalt are also given to some animals to prevent mineral deficiencies in them . Cobalt is graphically represented by a ‘kobold’ or goblin (considered troublesome by the medieval German miners) with some Chinese porcelain in the background, referring to its use as a pottery glaze in ancient China . 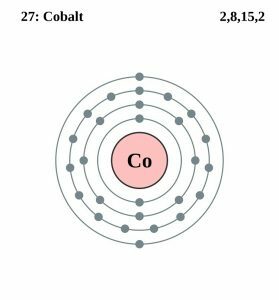 Cobalt can retain its magnetic properties up to a temperature (Curie Point) of 1,121 °C (2049.8 °F), the highest of all the ferromagnetic elements [3, 4]. 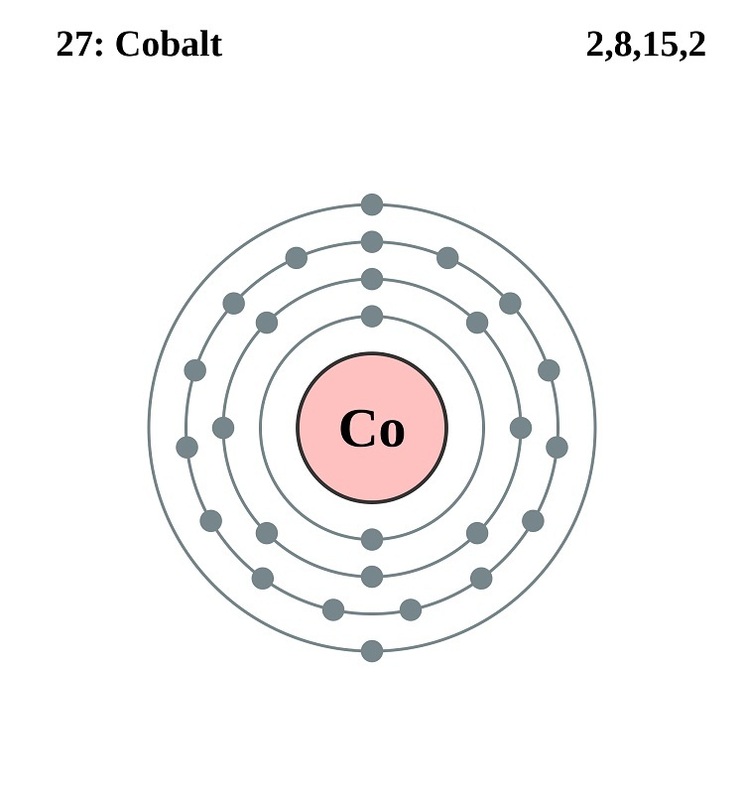 In 2010, German scientists used a cobalt atom to capture the first pictures of spin changing . 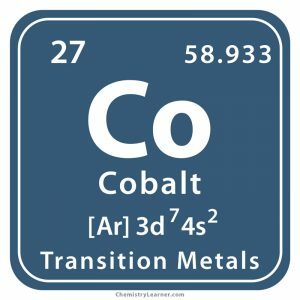 The cost of pure cobalt is about $0.21 per gram, and in bulk, it costs about $0.044 per gram .